In our demos you can see a text widget created with Font Awesome icosn for contact details, social widget and multi-currency / multi-measurement widgets. For the contact widget copy paste each code below in a text widget, edit the info, and add it to header widgets. 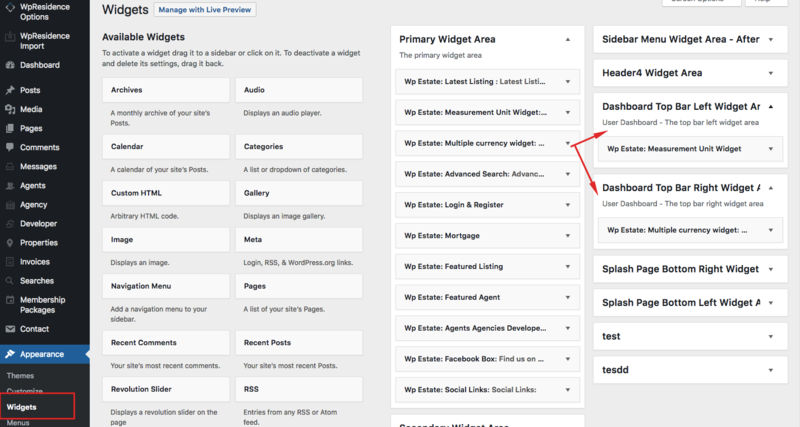 In user dashboard pages (profile, properties, add property, inbox, messages) you can add different top bar widgets. 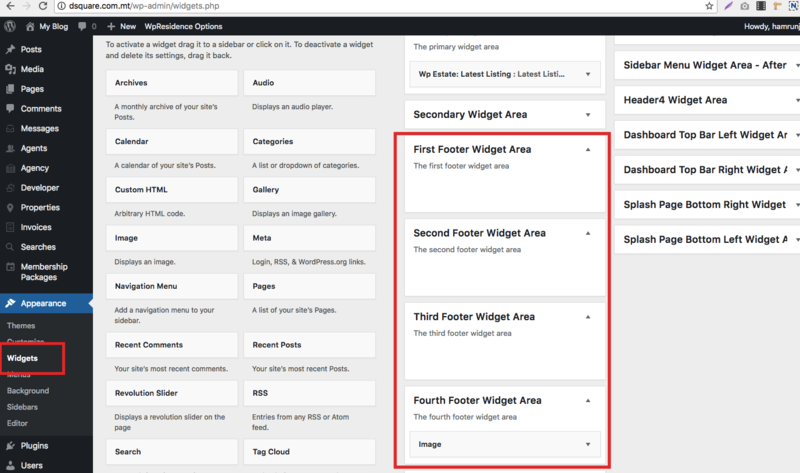 From Admin – Appearance – Widgets you can populate the footer 4 column widgets that are included in the default theme set-up. To add content to each column use drag and drop. The vertical menu (which shows when enabling header type 3 and type 4) work with widgets. You can add widgets before and after menu from Admin -Appearance Widgets. For example – the logo from demos is added as text widget and you can edit in admin – widgets. 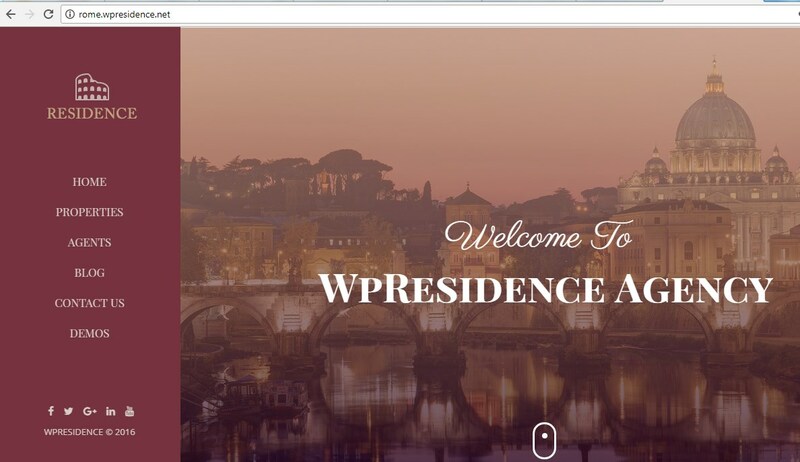 The theme comes with 2 default page sidebars: Primary and Secondary. These will show in the widget list and can be populated with any of the widgets available. Additional to theme included page sidebars (Primary and Secondary) you can create unlimited sidebars and assign them to individual pages or posts. To create a NEW sidebar go to Appearance > Sidebars and use the “+ Add Sidebar” link.